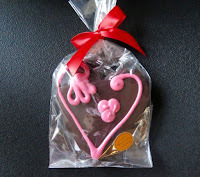 Happy Valentines Day to all who celebrate! Today's heart-shaped, marshmallow-filled dark chocolate beauty, from Lula's Chocolates (Monterey, CA), was a perfect way to celebrate. 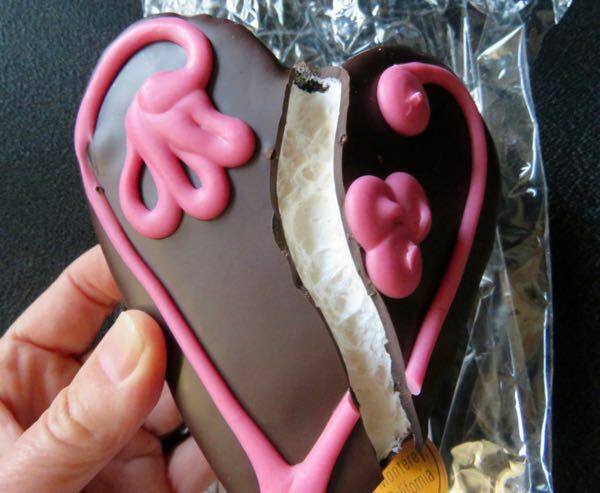 A fluffy, fresh-tasting marshmallow filling was encased in a generously-sized, dark chocolate heart decorated with pink decorative sugar icing. All this was wrapped in a clear wrapper with a red ribbon bow. Welcome to Day #13 of Chocolate and Nuts Theme Week. Peanuts are legumes and not true nuts; but they're part of this theme week anyway, because of their nutty flavor. The first ingredient listed was: "virginia peanuts," followed by organic brown rice syrup and organic dates. 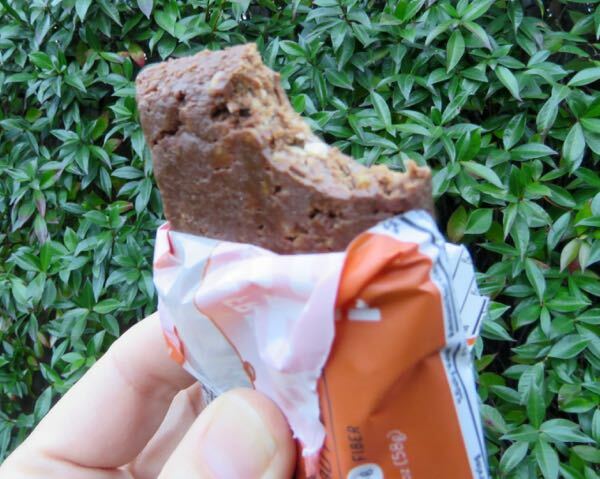 The "heft" in this dense, chewy (and a little crunchy) bar could be measured: 12 grams of protein and 4 grams of fiber. Some of the best gluten free chocolate items, have come from founders who have food challenges themselves. 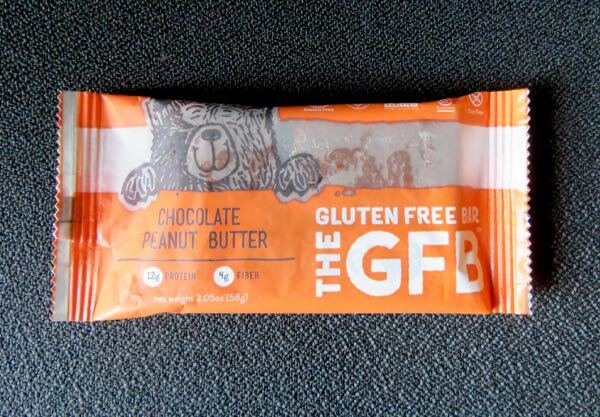 The GFB - Gluten Free Bar was founded by two brothers who steer clear of gluten. This bar was gluten free, vegan Non-GMO Project Certified and soy free. The "gluten free" part of this company brand matters. It's comforting to have a few go-to brands that someone with wheat issues can rely on without fear of having some kind of reaction. I felt so comforted I forgot I'd already tasted/featured this bar three years ago. Thus, the second item featured below. 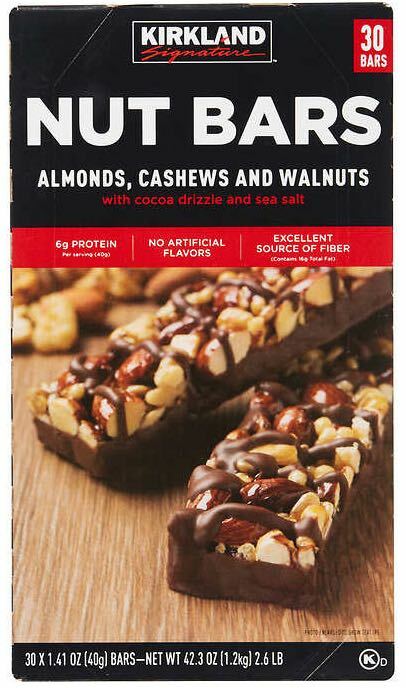 Today's second item was a Kirkland* Signature Nut Bar with almonds, cashews and walnuts with a cocoa drizzle and sea salt. 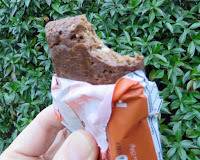 This bar was crunchy and satisfying. The nuts helped balance out the sweet. And the touch of sea salt made this a very appealing mid-afternoon snack. *Kirkland is a brand that can be found at Costco stores. Product picture at right is from Costco website.